avhumboldt.de. 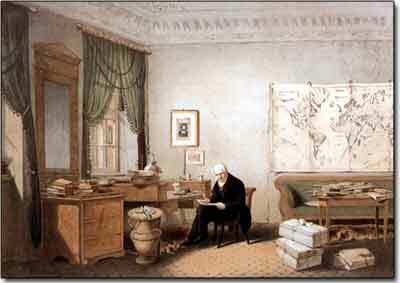 Alexander von Humboldt Informationen online. 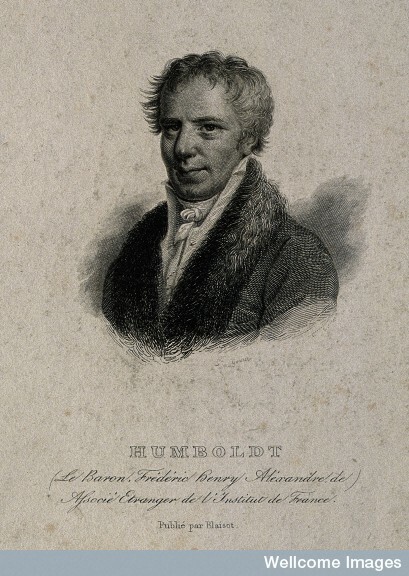 is an online information platform about worldwide activities regarding Humboldt. 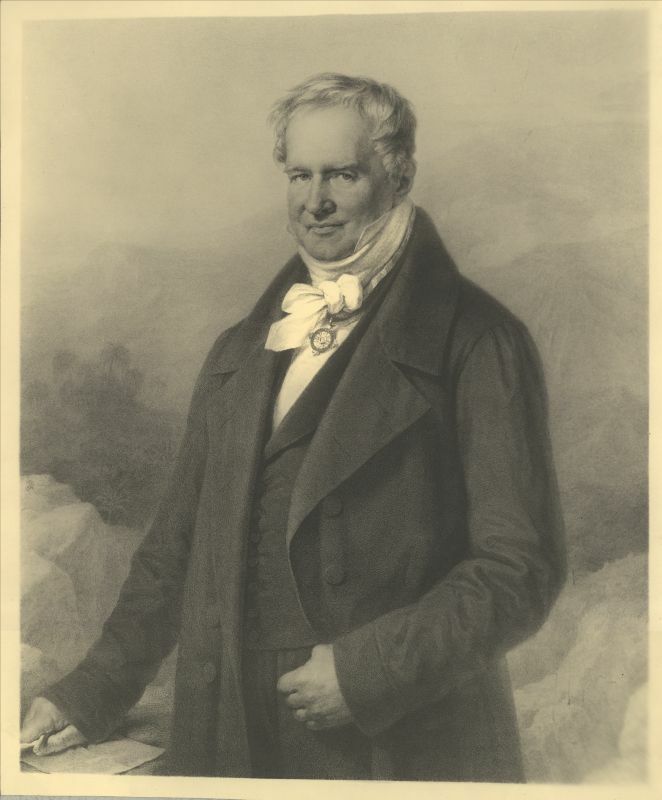 It is also the succeeding project of Alexander von Humboldt im Netz (www.humboldt-im-netz.de), which has been collecting and commenting information and marterials about the life and achievements of Alexander von Humboldt since 1999.
be open for you! – we look forward to your comments and contributions! Redesigned from scratch, the new version of this platform facilitates a versatile navigation through the complex material cosmos, world of ideas and scientific scenery around Alexander von Humboldt. For this, avhumboldt.de offers a complex semantic stucture. In addition to static content like the new bibliography of digital facsimile, the updated bibliography of secondary sources or the Cosmos register by Eduard Buschmann, there are three main categories – MATERIALS (MATERIALIEN) – TEXTS (TEXTE) – TOPICS (THEMEN) – where numerous articles are arranged in diverse fields of interest. HUMBOLDT ZUM EINSTIEG (introducing Humboldt) is adressed at folks with a broader, more general interested. 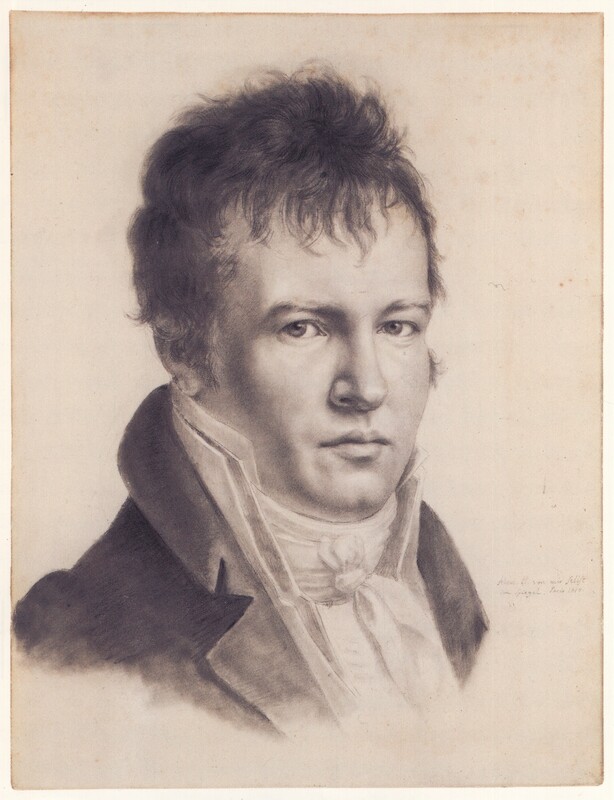 A category with readers in mind, who care less for the latest in scientific research, but rather look for easily accessible materials about Humboldt’s life, achievement and influence. An offer that was inspired by the Humboldtian ideal of democratization and popularization of science, which he himself realized most famously with his acclaimed Cosmos lectures in Berlin. The tag cloud works like a semantic cloud adapting itself to its corresponding context with the objective to provide references to related contents on avhumboldt.de. A similar assistance are proposals to related entries displayed at the end of each article. There are two ways to stay updated with news from avhumboldt.de and its sister project HiN-International Review for Humboldtian studies: You may subscribe to our newsletter or to the RSS feed of avhumboldt.de in order to receive regularly information about recent activities on the platform and the journal. It is up to you how to set your RSS feed: a global setting for the entire site, a setting for several or all comments or for your favourite categories. 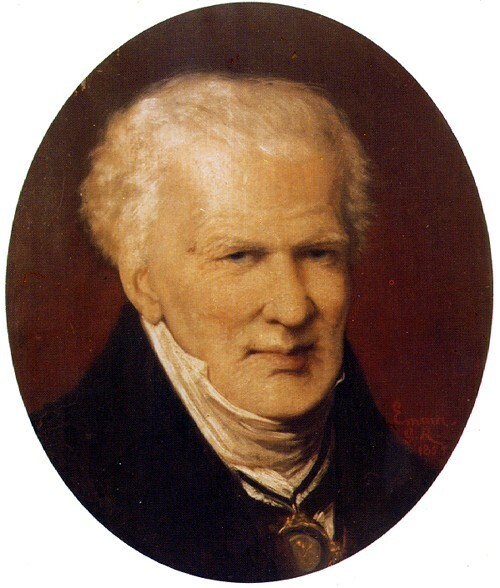 Furthermore, you may take the opportunity to participate in a shared conversation about Alexander von Humboldt at any time here on avhumboldt.de. Use the comment function at the end of every article and share with us and other readers your thoughts about life, achievement and thinking of a man, whose accomplishments opened space for a whole cosmos! Has anyone remarked on the eight letters that J. F. Zöllner addressed to AvH in July 1791, published in Briefe über Schlesien, Krakau, Wieliczka und die Grafschaft Glatz auf einer Reise im Jahr 1791 (Berlin: Friedrich Maurer, 1792), reviewed in Neue ADB 9. Bd, 1. 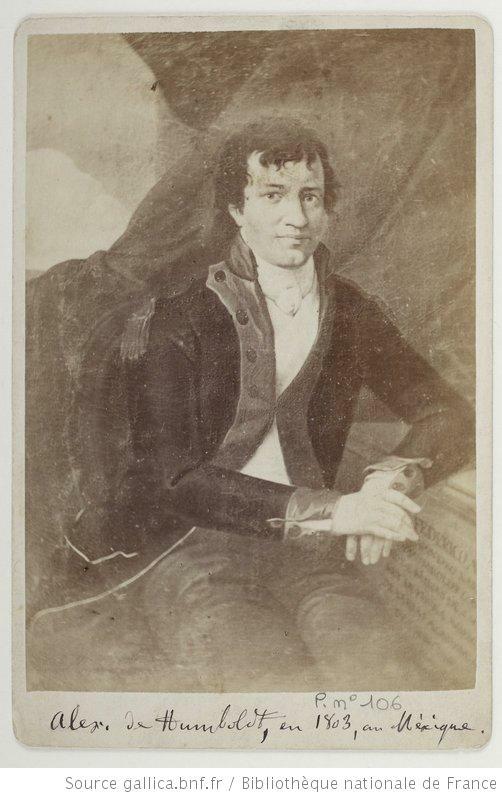 St. (1794) p.207? I haven’t seen a reference to them in the contemporary secondary literature, but I haven’t been keeping the closest tabs on things. thank you very much for your remark. We do have an entry to these letters, which were – as far as we can tell – never intended as actual letters but go by the definition of „als Briefe bezeichnete Reisebilder“, therefore as published works declared as letters, even though they never actually came to be real „letters“. dazu können wir Ihnen leider keine Auskunft geben. Der Titel ist uns nicht bekannt. Zudem sind wir kein verlegerisches bzw. kommerzielles, sondern ein wissenschaftliches Projekt der Universität Potsdam und der Berlin-Brandenburgischen Akademie der Wissenschaften, das sich an Forscher und Interessierte zu Alexander von Humboldt richtet. Ihr Titel klingt aber eher nach einem Sprachkurs.